Kanye invited him to come, and it's a big deal for him to be able to come. I'm excited. For him to have this, you know, this is a milestone for him to be able to travel. So, baby steps. But this is a big one. This is a huge step for him. [Odom] really wanted to support Kanye. He really wanted to be here for him, because Kanye was very instrumental in part of his recovery. Kanye would go to the hospital and play him music, and that's what he really, really responded. He was amazing. Lamar started rapping again before he could talk. Isn't that wild? Honestly, I had no idea these two were so close, but given the fact that Khloé and the rest of the Kardashian family have been by Odom's side every step of the way, it's not too surprising. It just makes the moment even more meaningful. Although West's judgement may sometimes be questionable, this shows he really does have a good heart. 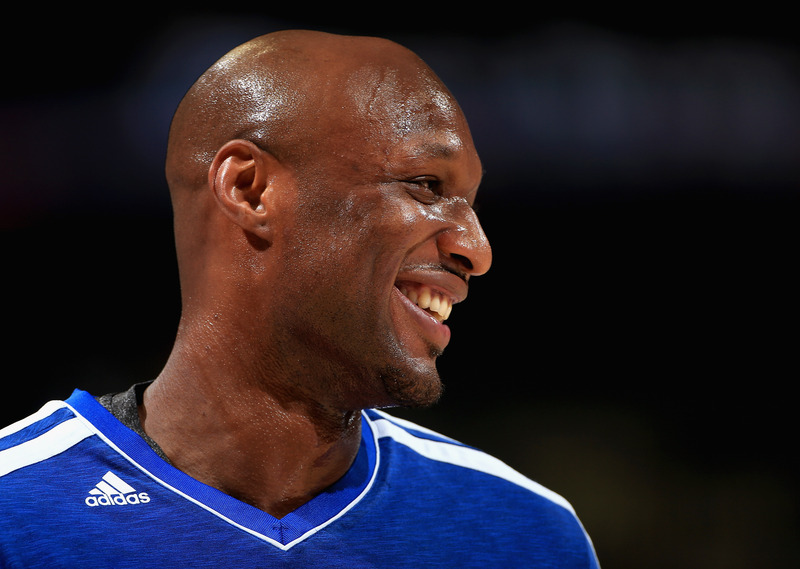 Here's hoping this is just the start of Odom's return to the spotlight! Of course, he should take it day by day, but this is certainly encouraging to see.